The summer may be flying by, but Baltimore still has so much to offer! The 1840s Carrollton Inn welcomes all visitors of Baltimore to enjoy our August room of the month by booking a mid-week getaway! This month’s room is the Carroll Suite. 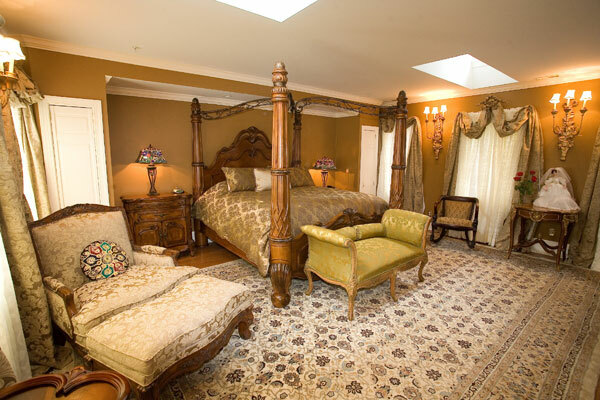 Our largest suite offers courtyard and city views with sunny skylights, a four-poster king bed with canopy and lounge in the master bedroom, a sitting room with daybed and marble fireplace, double whirlpool bath and separate shower. For more information on this suite or to reserve a room, click here!